The Many Sides of Catherine ... and More! My mission is help you stay safe in this day of increasing "digital danger." There are so many risks most are unaware of, most would never even imagine, as far as how the cyber-world can turn a real-life world upside down in a virtual split-second. My passion is to promote hope and promise that there is, indeed, life after humiliation, especially the cyber-bred brand, where a stronger, better you emerges on the other side. It comes with finding that steadfast inner strength I KNOW we all have. She's a loving wife, daughter, sister and stepmom, a successful TV journalist and ... Catherine is a victim of bullying. She's also an incredible comeback story. With an experience so humiliating it landed her invites for appearances on shows like Good Morning America, The Oprah Winfrey Show and Inside Edition, she passionately shares her survival journey to enlighten, empower and inspire others, even you! Working in TV news, for nearly thirty years, I've had some incredible experiences and been affected by so many of the stories I've had the privilege to cover. Certainly, some of them changed me. For instance, I learned early on in my career the incredible power of the human spirit to survive sometimes unimaginable circumstances. Strangely though, I was blinded for the longest time to the power of my own story. While, for years, as many applauded me for my "comeback" or what they described as courage and resilience, I simply saw as survival skills in full gear. It took hearing a dear friend of mine, and former boss, shortly before he passed away, say "I admired how you always seemed to stand up and dust yourself off again" to realize I was, indeed, once and for all, dusted off. That sparked an excitement in my soul like never before, compelling me to reflect on that time in my life I tried so hard to forget, resurrect it and make it count. It occured to me that if I was able to survive my "nightmare," I can help prevent others from going down a similar path, and I can certainly inspire those who are suffering a similar torment to fight through it. Turns out my so-called nightmare is a gift. It began when I was 35 and was stricken with a potentially deadly lung illness. I went from running a marathon in October to a hospital bed by December, hardly able to speak a sentence without breathing treatments. My new husband, Rick, and I had every reason to prepare for the worst. Fearing for my life was nothing new as just a few years before that, I underwent open heart surgery to repair a serious heart condition I was born with. So, when the lung illness came along, I didn't think I would be so lucky, so blessed, a second time. It took months of experimental drug therapy before it was finally determined I was going to live, and fully recover! That called for a celebration. We packed our bags for Key West, where we honeymooned the year before. High on emotion, still taking heavy doses of prednisone, an impulsive behavior inducing steroid, with Rick by my side, I cut loose in a silly, yet provocative way. I stepped out of my "goody two shoes" straight laced, character and got caught up in the Key West spirit. For a moment, it was liberating and empowering, an extension of my emotions connected to survival. But soon, I was beside myself with shame and guilt for getting carried away. We made a pact to leave it in Key West. Nearly a year later, pictures and video of that silly night caught up to us back in our little Ohio hometown, where I was a local TV anchor. It cost me my job and anything that resembled self-respect. That's when those images went viral! I learned what it was like to be on the other side of the camera when my situation made news headlines. Suddenly, I was the topic of talk shows like The View and The O'Reilly Factor, even the topic of David Letterman's Top Ten List. 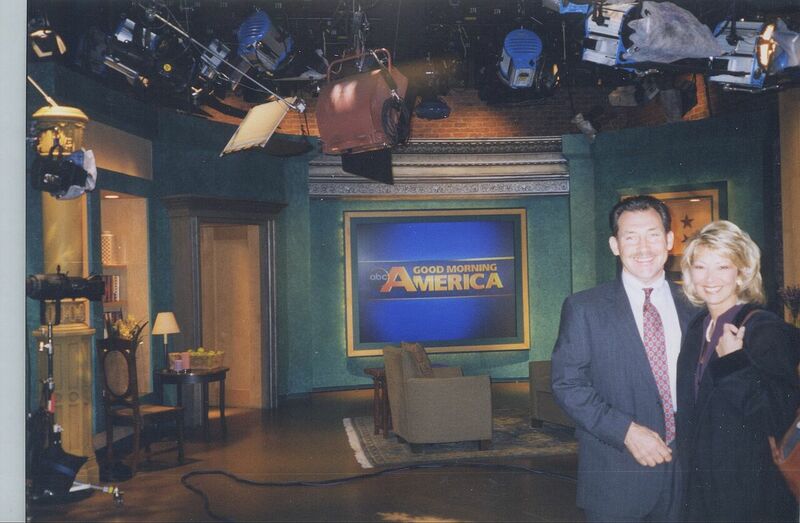 Other shows like Good Morning America, Inside Edition and The Oprah Winfrey Show were inviting me on to explain what happened. "What were you thinking?" was the question coming at me everywhere I turned. The nightmare was magnified online as comments poured in by the hundreds with every article posted on the most embarrassing moment of my life. Most of the comments were understanding and kind, but it was the words from the "haters" I focused on. Eventually, I believed them that I was stupid, ugly and had no reason to live. While I had a lot of love and support around me, thoughts of suicide often brought my greatest comfort. I was being cyberbullied before it was even called that. I was suffering the typical "bullied syndrome" symptoms that, too often, take the lives of today's victims. Faith, family and friends came to my rescue in time though, revealing an inner strength I never knew I had. With that, I ramped up to fight back. Three federal lawsuits later, including one in which I was granted copyright ownership to all the images taken of me in Key West, I regained control of my life. That gave me the power to take to task anyone who posts or uses the images without my permission, including Larry Flynt's people. Yep. Surreal. My last lawsuit was against Hustler Magazine after they posted one of my copyrighted photos, that had no business in that kind of rag. We won David vs. Goliath style. 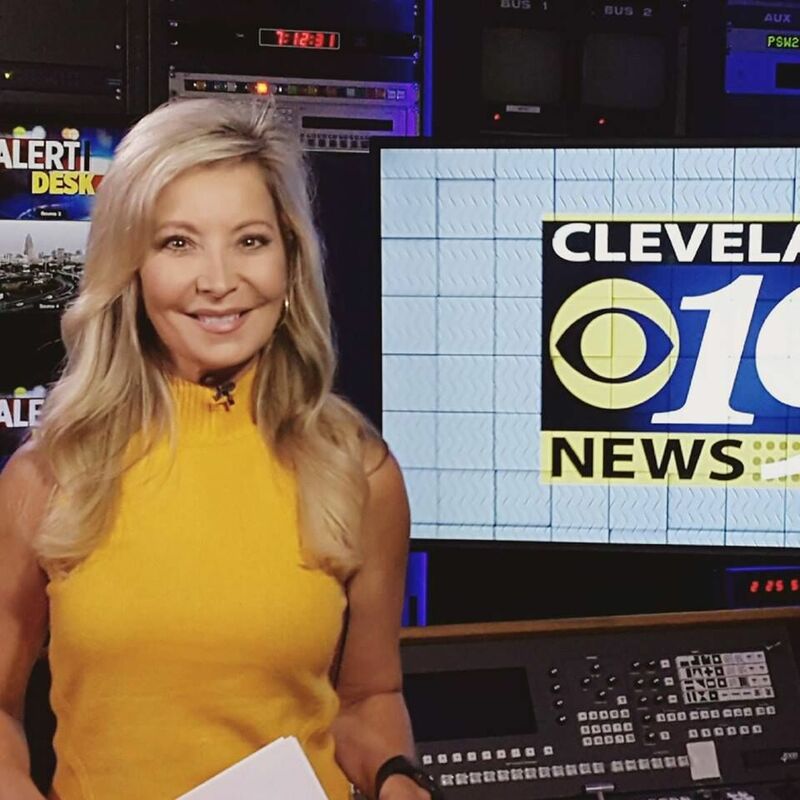 In the midst of it all, a television station in Cleveland gave me a second chance and I ran with it - all the way back to the anchor desk for many years. 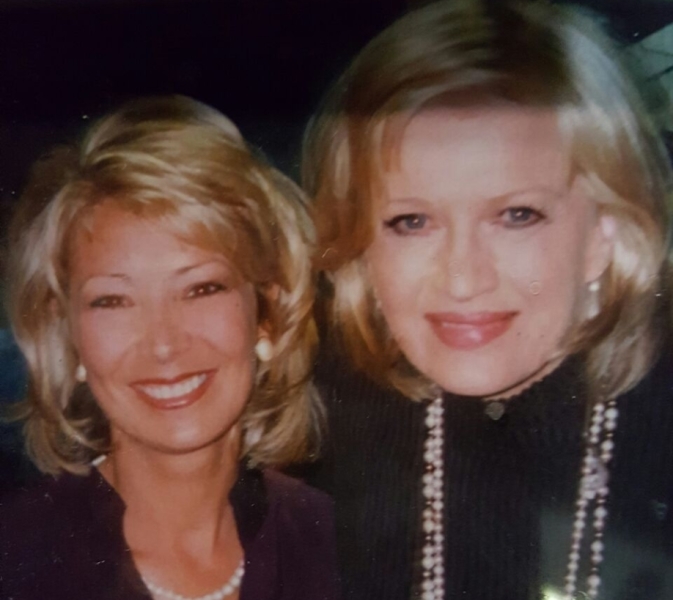 As much as I was blessed, and tremendously grateful for my second chance at life and a career I cherished, as I continued to do the news, there was something missing even during my biggest accomplishments. It was like an emptiness in my heart I never felt before the "nightmare." Thanks to the eye-opening "dusted off" comment from my old friend, I realized exactly what it was - a calling to do what I'm doing today! It's a calling so different than "doing the news," instead, I see my own cautionary, yet inspirational tale is more relevant and valuable now than ever. The journey is chocked-full of messages anyone who spends any time online or social media should hear, including how very easy it is to have your real-life world turned upside down by the cyber-world, no matter who you are. Just as important, for the many others who know the feeling of shame, embarrassment, regret and hopelessness, brought on by life online or off, I'm a prime example of why we should never let those feelings win, why fighting back is so crucial. That's not the easy route, but it's a necessary one, perhaps a life vs. death one. I cannot even imagine where I would be had I let my "nightmare" win...that is, if I would be here at all. I cherish my story now! Who knew? There are many reasons for that, but especially for how I believe I can use it to help you protect yourself, stand up, dust off and make a happy ending out of your story, too!